Little Creek Alpacas is a farm located in Plymouth, Illinois owned by Lindsey Moore. Welcome to Little Creek Alpacas! Spring Special - Create your own package! Take 20% off the purchase price of 2 alpacas, 30% off for 3 alpacas, or 40% off 4 or more alpacas! Cria season is approaching with our first cria due April 29th, so I have taken all females off our sales list for the time being. Don't worry, we'll have some females listed for sale again by the end of summer. We have recently added rare Bolivian Rainbow genetics to our herd! Pepper-Salt is ready to start his breeding career, and we're looking forward to producing lots of fine fleeced pattern and appaloosa alpacas! If you would like to schedule a farm tour, please call or email at least a week in advance. Farm tours are $5/person. You can find some our products at the Macomb Food Co-op, located at 211 S. McArthur in Macomb, IL. We also have some products listed online in our Etsy shop. Please follow our Facebook page for the most up to date information as well as shows we will be attending and/or events we may be holding. Welcome to Little Creek Alpacas! We are a small family farm located in Plymouth, IL - just 26 miles southwest of Macomb, IL and an hour east of the Iowa and Missouri borders. 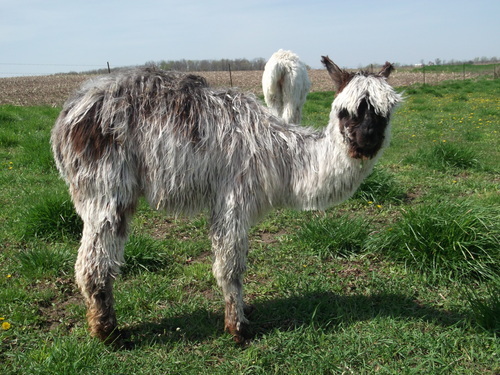 We raise Suri and Huacaya alpacas, breeding mostly for appaloosa, pattern, light fawn, white, grey, and black. Lol, I guess we like a little of every color since we're fiber nuts! Our focus in raising our herd is on good health, conformation, and fabulous fiber. 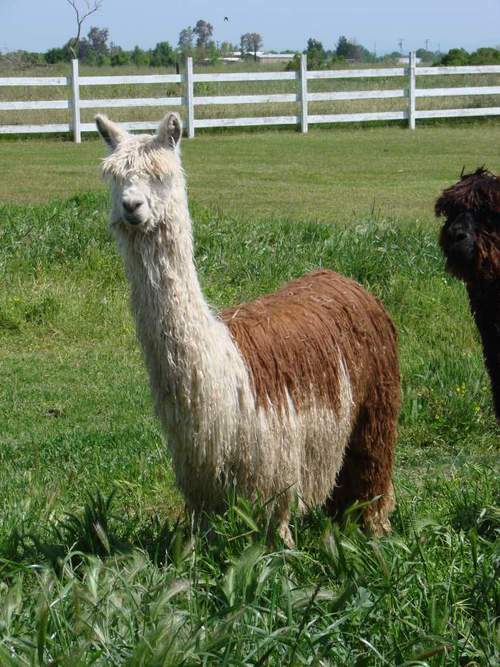 We currently sell breeding stock and fiber/pet Suri and Huacaya alpacas, as well as a wide variety of products made from their fleece. Little Creek Alpacas was born out of a great love for animals and a desire to become more self-sufficient and raise our children in a more spiritual setting. We chose alpacas over other livestock because they are docile, earth friendly, and produce a wonderful, luxurious fiber that is better than cashmere. There is something special about alpacas that cannot be put into words. Some sort of spiritual sense that helps you to reconnect with your inner self as you sit with them and watch the sun rise or set. From them, my daughters are learning the circle of life. 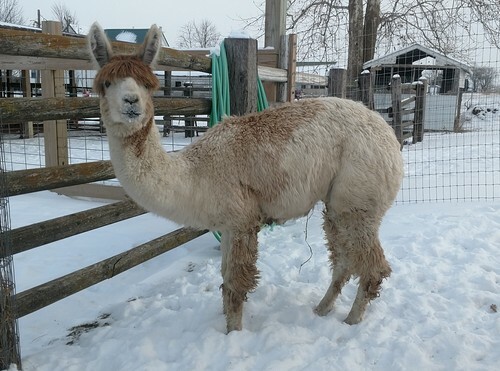 For example, we provide loving care and nourishment for the alpacas, and in turn they provide us with fertilizer for our trees, plants, and garden and also produce wool that can be made into yarn for soft, warm, moisture wicking, durable clothing and accessories. The trees and plants then give us the oxygen we need to breathe, the garden gives us the food we need to nourish our bodies, and the winter apparel made from our alpaca yarn keeps us warm and dry in the winter. From this, my children are learning that you get from life what you put into life. And in the end, we are all able to live together in harmony. Since our prices are so reasonable, we ask for a 50% down payment with the signing of the contract and the remaining balance to be paid within 90 days. We do accept PayPal and credit cards. Any alpacas purchased from us will board free for 90 days**, and are welcome to stay as long as you need them to. We offer agisting for $60/month per alpaca. 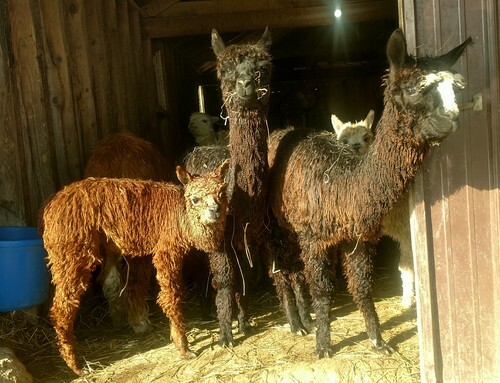 No alpaca can leave our farm until they are paid in full. 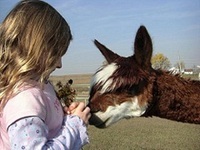 **Anytime we list crias for sale, we do not release them until they are at least 8 months old. Most of our crias turn 8 months old in late spring/early summer. Any crias purchased from us will not be charged agisting fees until their 1st birthday. Please feel free to email me with any questions.